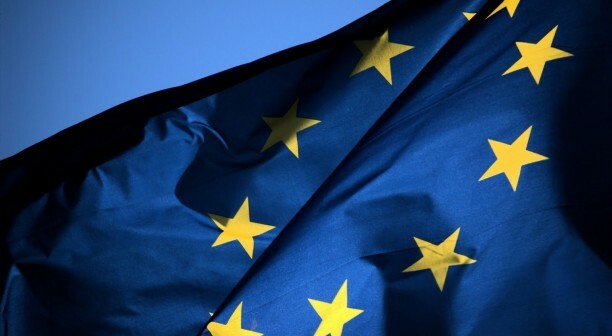 Home » What’s Really Going on in These EU elections? The mainstream German, French and other EU media are having a field day since the lopsided bizarre victory of Emmanuel Macron, the former Rothschild banker and globalist liberal, in the recent French presidential runoff. To believe their account, the so-described “far right nationalist” upsurge in the EU following last year’s BREXIT vote by British citizens to leave the European Union, is over. Voters are coming to their senses and leaving the extreme parties behind, so goes the lyric. What’s actually shaping the recent voter results in Austria, in Holland, now in France and in September in Germany something quite else. The Brussels EU “Politburo,” as well as most EU leaders such as Germany’s Angela Merkel and formerly France’s Hollande, to the highest levels of the Jesuit-run Vatican are cynically using the human refugee tragedy of the wars their NATO networks caused, in order to implement one of the greatest demographic alterations of European civilization since perhaps the Great Crusades more than 1000 years ago. Deception is their essential tool of manipulation of public opinion. There is a grand deception being played on the citizens of the EU. The deception is that the EU “open arms, no questions asked” policy pronounced in summer of 2015 is over. In the course of the past months a carefully-cultivated impression has been created to lead voters to believe that Chancellor Merkel and other politicians of the EU have recognized their mistake in allowing any and every one in back in 2015. Since the onset of the refugee inflows across the EU, with the exception of one or two courageous national leaders such as Hungary’s Viktor Orban, not one head of government from a major EU country has questioned a refugee policy that has done little to solve anything. In fact many Europeans see the influx as reason for the growing wave of European terror attacks by ISIS and other psychopath bands, waving one or another “flag of Allah” to justify murderous attacks. The entire refugee process is creating deep divisions across the populations of the EU, feeding fear, rage and worse. The political landscape of the European Union appears to have turned dramatically since 2016. The prospect of nationalist-populist parties winning elections in Holland, Austria, France and now Germany, appears to have vanished in favor of the status quo of the parties of the established liberal, pro-globalization, pro-Europe center. Most remarkable is the emergence of Emmanuel Macron out of nowhere, without even a party, to defeat Marine Le Pen in French Presidential runoffs. German and other EU major media, and the mainstream politicians, would have us believe that the victory of Macron in France, of Holland’s Conservative Prime Minister Rutte this past March, and recent German state elections in Nord-Rhein Westphalen where Angela Merkel’s CDU showed solid gains–after devastating regional losses in September 2016 when Merkel’s CDU finished behind the anti-immigrant Alternative für Deutschland party–have finally turned the tide in the EU away from a possible repeat of last year’s BREXIT British vote. Is there something else going on behind this big political shift to the misnamed center? We can be sure there is. In March, 2016 EU governments met in Brussels to sign what was supposed to have been a resolution of the out-of-control refugee flows into the EU that began in 2015 when Merkel welcomed “any and all” refugees, no border screening, under the motto, “Wir Schaffen es!” (We will manage it!). Germany alone received over 1 million refugees, most entering the EU via the Aegean through the Balkans. Sweden also received a disproportionate share. As a foreigner resident in Germany for three decades, an American by birth, I can attest that for older Germans, after an initial feeling of humanitarian kindness and a certain empathy to those fleeing the horrors of war, there was a growing feeling of fear of the collapse of their own hard-won social stability after two world wars over a century as the refugee flows seemed to grow without end. This fear reached panic proportions as German media reported on massive attacks New Year’s Eve January 2016 in Cologne and elsewhere, with mobs of what the Cologne Police Chief called “a completely new dimension of crime.” Media reported that men of “apparent North African origin” in gangs of sometimes up to 1,000, had raped, sexually molested and or robbed hundreds of German women amid the street celebrations. Police were apparently unprepared and overpowered. The most important social value for the majority of older Germans especially those born before or just after the devastation of World War II is a predictable stability in their lives. Other German media reports suggested that untold numbers of ISIS (DAESH) militants had infiltrated the refugee flows. All this combined to create a firestorm of protest against what most Germans began to see as Merkel’s blind policy blunder. Her subsequent hard-headed refusal to give an inch fed a dramatic social reaction among the population. In March 2016 EU leaders met and agreed to a deal with Ankara in which every person arriving “irregularly” on Greek islands should be returned to Turkey. In return for agreeing, Turkey was to receive €6 billion from the EU for refugee care, as well as visa-free EU entry for Turkish citizens. Turkey already had taken an estimated 2.5 million refugees from Syria alone since the start of the war. Since that March 2016 deal, refugee flows to Greece and the Balkan states have reduced dramatically. The March 2016 EU-Ankara agreement, which has not yet been honored in important parts by the EU, dramatically reduced the visible human refugee flows, though doing little to end the origins of the crisis–the NATO-incited wars across Eurasia from Ukraine to the Middle East. The established EU political parties, especially after the German-backed victory of Macron over Le Pen, have used the hiatus in the refugee crisis to lull their voters into an illusion that the “crisis” is over. It appears that Merkel is, indeed, now the true new President of France. Already Merkel and her government are telling Macron what he needs to do with his French economy. She wasted no time to tell Macron to implement for France the deep 2002 German Agenda 2010 economic reforms of the labor market in France, reforms which in 2017 in the structurally very different French economy, would be disastrous. What she and Macron can now do to correct the very deep problems within the Eurozone and the economies of the EU, however, is far from obvious given their apparent religious belief in the present EU structure and its globalist economic agenda. Those parlous economic and financial conditions and fear of millions more of industrial job losses are the true underlying causes of the recent rise of EU nationalism. Many Europeans today fear for their economic future. There, the EU has spectacularly failed to implement positive policies, merely to cover them over until the next major EU elections in Germany this September when we can expect a re-elected Merkel Germany to lead a push for grotesque EU austerity, backed by a compliant Emmaneul Macron. As Germany’s experience with Chancellor Heinrich Brüning in 1930 underscores, slashing worker wages and social benefits in government austerity drives never creates prosperity. In Weimar Germany after 1932 it fermented the social unrest and mass unemployment that the NSDAP of Hitler and his banker backers used to create a Nazi Third Reich. Little wonder Britain is happy to be on the outside of the predictable coming crises and social chaos across the EU.